Do you qualify for more/additional savings, rebates or incentives? Please submit the form below to find out! I would like to request your best ePrice quote for this vehicle. Please email or call me back as soon as possible with more information. Thank you. New vehicle pricing includes all offers and incentives. Tax, Title and Tags not included in vehicle prices shown and must be paid by the purchaser. While great effort is made to ensure the accuracy of the information on this site, errors do occur so please verify information with a customer service rep. This is easily done by calling us at (305) 248-5880 or by visiting us at the dealership. 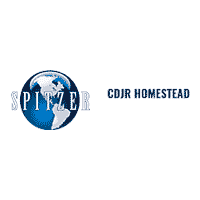 Spitzer Chrysler Dodge Jeep Ram Homestead	25.4867192, -80.457857.